BALLARTO Road has been targeted by the federal government for $30 million “intersection upgrade” works. The Prime Minister Scott Morrison visited the road on 5 February to announce that the funding would be included as part of the upcoming federal budget, to be released in April. Exactly what those upgrades will be are not finalised, but Dunkley MP Chris Crewther said they would focus on “Greenwood Drive, Dion Drive, and Potts Road”. “At a number of different intersections along this road, we are looking to upgrade them so people can get in and out of their residential streets easier. For example that may include lights, lanes so that people can merge with the traffic and not have to sit perpendicular to the intersection, and it may include other upgrades to reduce that congestion,” he said. 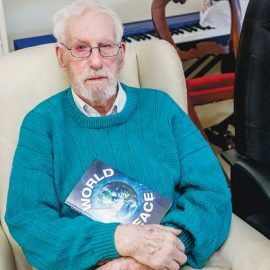 “So many residents of Carrum Downs, Skye and Sandhurst, along with Skye CFA, have told me how hard it is to get in and out of Ballarto Road to and from their residential streets. So I’ve been fighting for funding to resolve this major congestion issue,” Mr Crewther said. He said the $30 million budget for the project was determined through “consultation with council”. Mr Crewther and Mr Morrison both said a state government contribution to the project would be “welcomed”, but Premier Daniel Andrews told media that he had only learned of the federal government’s announcement in the newspaper. Mr Morrison said he had not arranged a meeting with the Premier prior to making the announcement. “We want Melburnians to get home sooner and safer with help from our Urban Congestion Fund,” Mr Morrison said. Mr Crewther said “if the project is not contracted” in the month between the budget and the federal election, then there is a risk it may not proceed should Labor win the election. He said that the tender process for a project of this scale would “most likely take more than a month”. As part of her state election campaign, Carrum MP Sonya Kilkenny pledged to spend $2.5 million at the intersection of Ballarto Road and Lyrebird Drive to install traffic lights. 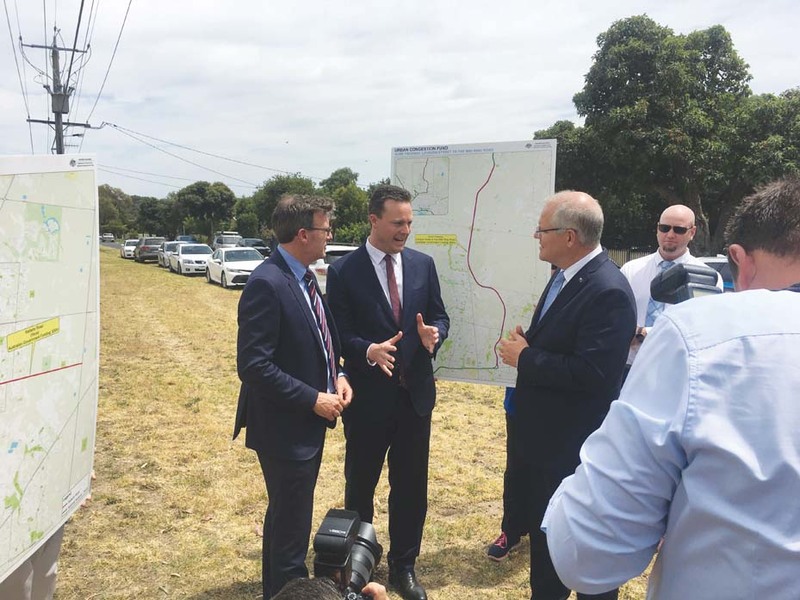 “Council has advocated to VicRoads on behalf of concerned residents for a number of years to have Ballarto Road upgraded and today we’re delighted to see the Federal Government is taking action,” he said. Taylors Road connects Ballarto and Hall roads. It is a dirt and gravel road. It was once a quiet road only used by residents. Now hundreds of vehicles use it every evening to avoid the gridlock on Hall Road. So now residents have to endure a dust storm that lasts 3 hours from 3,30-6,30pm every Monday to Friday. The weekly grading of the road has made things a lot worse – by loosening the dirt I reckon a tonne of road surface is lost every day in the form of dust. Some parts of Taylors road are now a metre below the surrounding land surface due to grading and the loss of road surface in the form of dust. The dust is a health hazard – we can’t go outside during peak hours – we can’t leave our windows open. A few years ago Frankston Council solved the dust problem between Thompson Road and Hall Road by putting a gate in the middle and making it a no-thru road. Why can’t this be done on Taylors Road? Any upgrade to Ballarto road will only encourage more vehicles to use Taylors Road, making life more miserable for residents.